Washington (CNN) - With a libertarian third-party candidate threatening to spoil his chances of winning the Virginia governorship, Republican nominee Ken Cuccinelli received a welcome endorsement Friday from the desk of Ron Paul. 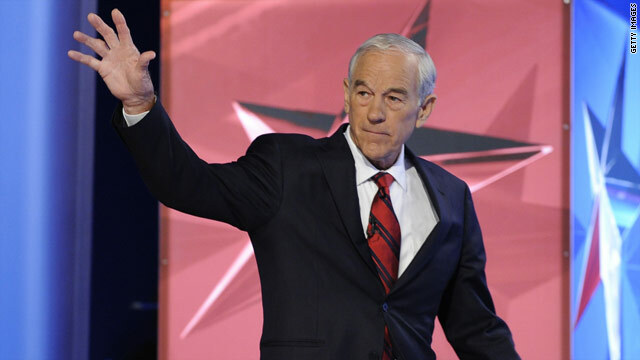 Paul, the former Texas congressman and the guiding light of libertarians everywhere, endorsed Cuccinelli in a letter to the Virginia attorney general. "Ken Cuccinelli has always stood for smaller government and limited government, he has consistently and unapologetically worked with the Liberty movement in Virginia," Paul said in the letter, which is being distributed by Cuccinelli's campaign. "His stand against Obamacare shows he is willing to stand up to Washington's continued abuses on our individual liberties. I am proud to endorse to Ken for Governor of Virginia," Paul wrote. Cuccinelli trails Democrat Terry McAuliffe in the race by anywhere from six to 10 points, depending on the poll. But with voters expressing negative opinions about both major party candidates, Robert Sarvis, the underdog libertarian candidate, has crept up in the polls, reaching double digits in some surveys. Privately, Republicans worry that Sarvis is draining conservative support from Cuccinelli. Sarvis told CNN last month that he voted for Paul in Virginia's GOP presidential primary in 2012. UPDATE: The Sarvis campaign responded to Paul's endorsement by touting support from former New Mexico Gov. Gary Johnson, the 2012 libertarian nominee for president. "The Sarvis campaign is proud to have the endorsement of Gov. Gary Johnson, whose socially tolerant, fiscally responsible presidential campaign theme complements Robert Sarvis' libertarian vision for a Virginia that's both open-minded and open for Business," said J.V. LaBeaume, a Sarvis aide. What's in that tea anyway? LOL....these people should not procreate...evidence "lil Ayn Rand"
Oh, that should really make a difference especially with Paul's military stance. Libertarian supports government interference into women's lives. Another nut case republican. That's just what Cuccinelli needs to cement his extreme right image and assure a Democratic victory.